The 5,000-square-foot Grass Valley Pavilion includes a kitchen, stage and large open area. Built in 1916, it is one of the largest facilities in Sherman County. With its sagging roof and broken windows, this building without bathrooms or heat seemed to be forgotten. With a heart for helping, the group of volunteers has raised more than $300,000 toward restoration of the historic structure. The town of Grass Valley was established in 1878 by Charles Rollins, a physician who built a large two-story hotel that included a clinic from which he prescribed and sold medicine. 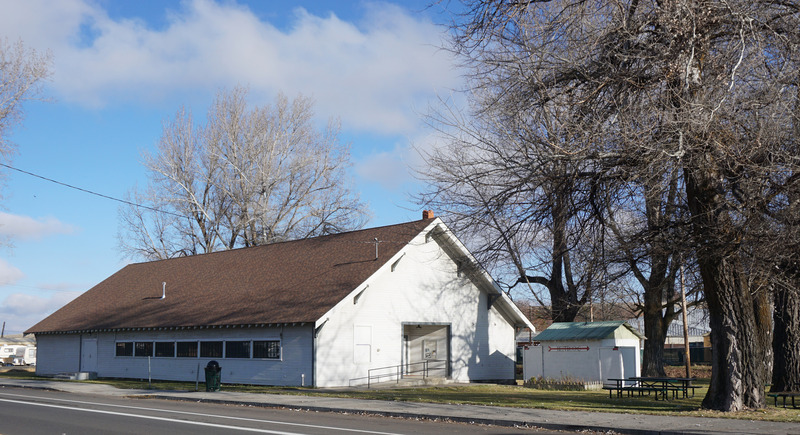 In 1916—nearly 40 years later—the pavilion was built along Highway 97 in the center of town. Though little is known about its creation, throughout the years it became a centerpiece for gatherings and celebrations. At 5,000 square feet, the structure offers a kitchen, stage and expansive open area. It stands as one of the largest facilities in Sherman County. Time was not kind to the pavilion, which is owned by the city. Though the overall building was stable, its problems included cracks in the footings, a sagging ceiling, slipping walls and faulty plumbing. Formed in 2012, the Grass Valley Pavilion Restoration & Rejuvenation Project aims to bring the 100-year- old building back to life. Driving the efforts are, from left, Cathy Brown, Keegan Kock, Rita Wilson, Jamie Wilson, Amanda Whitman and Zack Justesen. Restoration efforts kicked off in 2012. The project operates as a nonprofit to allow tax-deductible donations. Historic restoration is nothing new to this area, where it’s not unusual for a family to live and tend their land for generations. This effort, however, pulses with the drive of young energy. Nearly every member of the pavilion committee is younger than 40, and is dedicated to preserving the past. “We like old things,” says Cathy, who lives in one of the oldest homes in Sherman County. Joining in the renovation efforts are Jamie Wilson, who lives near Sherars Falls and runs cattle with Cathy; Keegan Kock, a Grass Valley wheat farmer and rancher; Zack Justesen, a Kent wheat farmer and rancher; Amanda Whitman, district manager for Sherman County Water and Soil Conservation District in Moro; and Rita Wilson (Jamie’s mother), who works in Sherman County’s financial office and has served eight years as Grass Valley city councilwoman. She, along with Joan Bird, initiated the restoration project, with Scott Susi and Austin Justesen pitching in. Sherry Kaseberg, local historian and fourth-generation Oregonian, agrees. She recalls dancing to local bands performing in the pavilion. “I grew up in Moro, and in my youth we roller skated to music there,” Sherry says. After its formation in 2012, the pavilion committee went to work, raising money to rebuild the dilapidated structure. With help from Grass Valley City Administrator Carol von Borstel, grants were secured from Ford Foundation, Sherman Development League, Collins Foundation, Oregon Community Foundation and others. 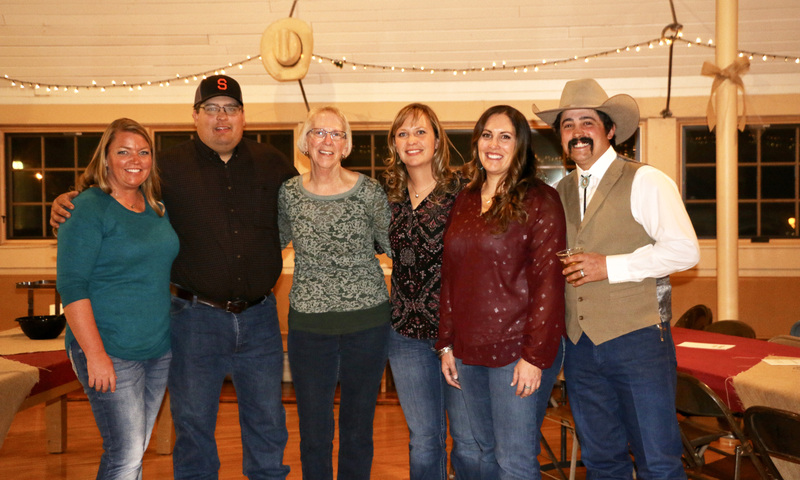 A driving source of local support has been the annual Max Nogle Dinner, Dance & Auction. 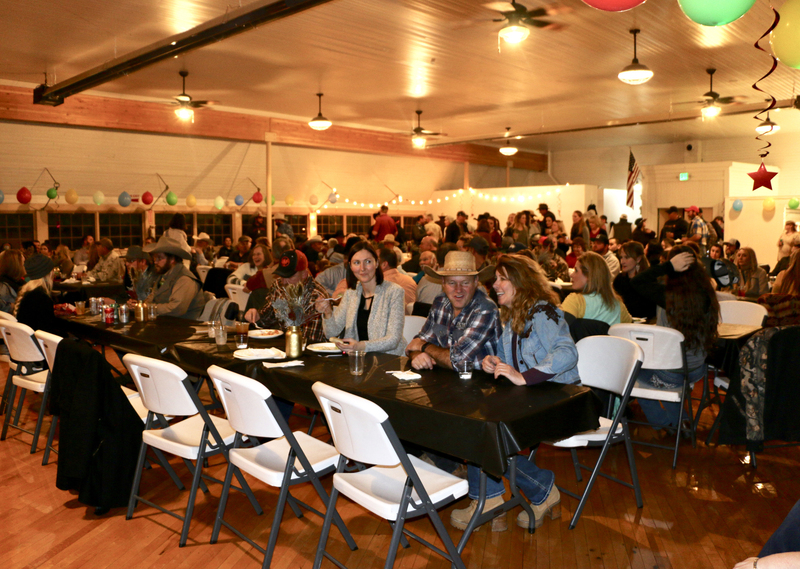 Now in its seventh year, the event draws 250 people and typically raises $15,000 in a single evening. The event honors Max Nogle, a beloved Grass Valley cattle rancher, fisherman, hunter and champion of the restoration efforts. He died in 2012 at age 93. Funding also arrives in the form of memorial donations. Jamie tears up as she looks over the long list of the deceased, including Swede Stark, Helen Olds and June Rolfe. “These were people who meant so much to us,” she says. In a town of just 170 people, the Grass Valley Pavilion is more than an old building. It stands as a symbol of community and history. The building has been brought back to life with new flooring, windows, wiring, heat and bathrooms. The pavilion buzzes with birthday parties, graduations, gatherings, weddings, concerts, memorials and, once again, roller skating. Still, there’s work to be done. The committee plans to upgrade the kitchen, increase storage space, install a sound system and enhance interior decor. These efforts will require about $100,000. The tasks are daunting, but with steady improvements and community input, the restoration project continues. Learn more about the Grass Valley Pavilion Restoration & Rejuvenation Project on Facebook or at the Grass Valley website. Send donations to Grass Valley Pavilion R&R Project. P.O. Box 191, Grass Valley, OR 97029.